Airlaid Wipers are made from highly absorbent cellulose fibers randomly oriented by air and bonded with a latex binder. Available in a variety of weights, embossing patterns and colors. 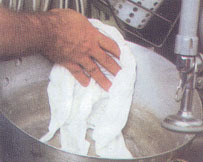 DRC Wipers are made from strong wood fibers combined with binder and then "double-creped" to give the fabric unique stretch, softness and wipe-dry properties. DRC has excellent durability and absorbency in water, grease and oil. 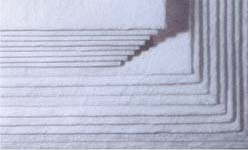 Scrim-Reinforced Material (SRM) is made from two or more layers of absorbent cellulose tissue laminated with an inner ply of cross-mesh scrim. 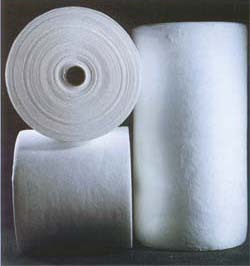 The result is a highly absorbent fabric with extra-strength for increased usability. With excellent wipe-dry capabilities, SRM is ideal for glass cleaning. Made from super strong fabric that can be machine washed over and over. Entangled fiber is an advanced technology that combines highly absorbent fibers in a mechanical bonding process that will not break down with solvent usage. These wipers come in both smooth and creped finishes, blue and white. American Supply Corporation offers different types of wipers designed for use in foodservice and food prep applications where wet-strength cleaning and durability are important. Each type provides distinctive performance and usage features in the right balance of value and quality. 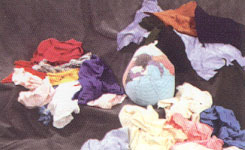 We offer the widest range of specialty wiping rags you can find! 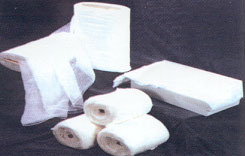 Our specialty rag line includes popular wipers such as baby diapers, surgical (huck) towels, terry cloth towels and cheesecloth. American Supply Corporation can fill virtually any wiping product order you may need at a competitive price. American Supply Corporation offers a complete selection of beautiful new mill-end wipers and washed mill-ends as well as bleached t-shirt knits and french terry. These are the products preferred by many customers because they have never been used as clothing, which makes these wipers more consistent in size, performance and quality. Our line of recycled rag wipers are among the finest available including sheeting, table linens and corduroy. We stock large quantities of these lower cost rags, all sterilized for cleanliness. Recycled rag wipers are the perfect wiper for less critical wiping tasks where lower cost is a primary concern.
. . . it's the law. American Supply Corporation offers a wide range of universal and oil-only sorbents in a variety of put-ups. American Supply Corporation offers oil-only sorbents that selectively absorb oil and petrochemicals, i.e., gasoline, fuel oil, paint thinner, lubricants, hydraulic fluids and solvents. They are used in the control and cleanup of spills, leaks and drips. Products are available for use on non-aggressive fluids like coolants, solvents, lubricants, cutting oils and water-based liquids found in maintenance applications. American Supply Corporation also offers general maintenance socks and pillows filled with airlaid for excellent wicking action. Our sorbent offering also includes Yellow HAZMAT pads and rolls, safety floor matting, drum top covers, and several different sizes of spill and leak containment kits from emergency truck spill kits to 95-gallon spill response kits. Not paper, not cloth . . . Something totally different. Nothing beats Sontara® EC® engineered cloth wipers in all-around performance, wet or dry. 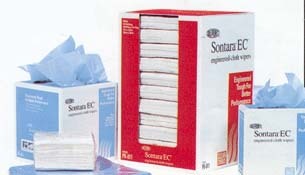 Sontara® EC® wipers are more versatile than cloth, stronger and more durable than paper and less expensive than both. Engineered by Dupont, a world leader in technology, Sontara® EC® wipers resist abrasion and solvents, contains no binders or glue, are low-linting and highly absorbent in a variety of fluids.